Larry Poons at Syracuse University in 1976. Photo by Stuart Lisson. 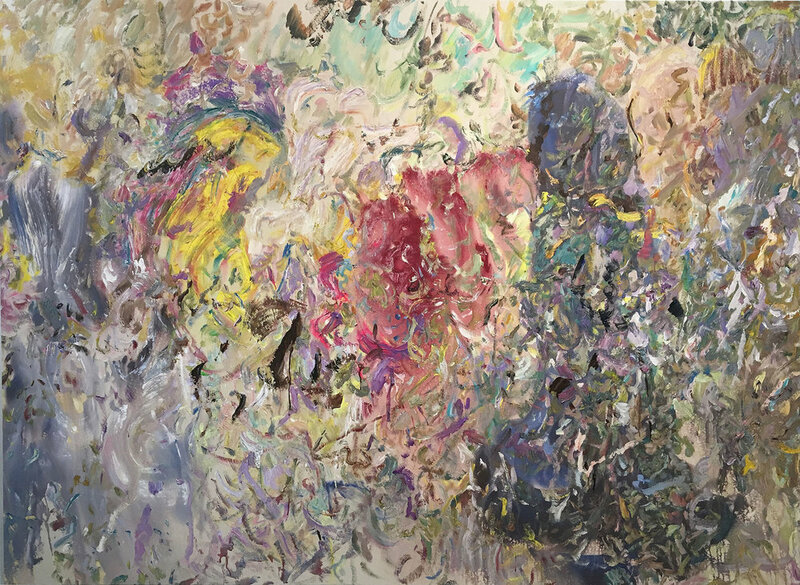 Larry Poons (b.1937 in Tokyo, Japan) is an American artist known for his pursuit of painting, which began in 1959 and continues apace today. From 1955 to 1957 Poons studied composition at the New England Conservatory of Music in Boston. In 1959, he saw Barnett Newman’s exhibition at French & Company in New York and subsequently relinquished music studies to enroll at the School of the Museum of Fine Arts, Boston. After graduation, he moved to New York where he had his first solo exhibition in 1963 at Richard Bellamy’s Green Gallery. In 1965, MoMA curator William Seitz included Poons in “The Responsive Eye” along with Josef Albers, Larry Bell, Ellsworth Kelly, and Ad Reinhardt. In 1969, Poons was the youngest artist to participate in "New York Painting and Sculpture, 1940–1970,” curated by Henry Geldzahler at the Metropolitan Museum of Art. Other artists included in the landmark survey were Hans Hoffman, Jackson Pollock, Willem de Kooning, and Jules Olitski. 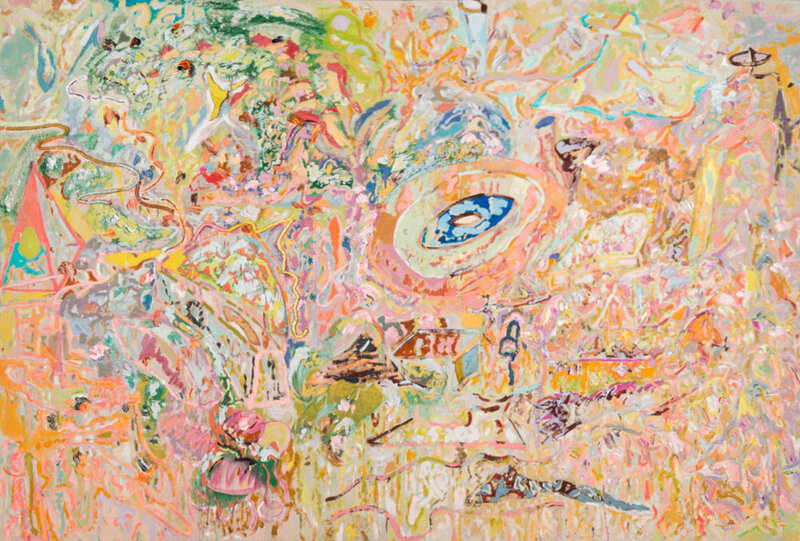 In the early 1960s Poons was the guitarist for The Druds, a short-lived avant-garde band, which featured Walter de Maria on drums, LaMonte Young on saxophone, and Patty Mucha as the lead singer, while Jasper Johns wrote the lyrics. 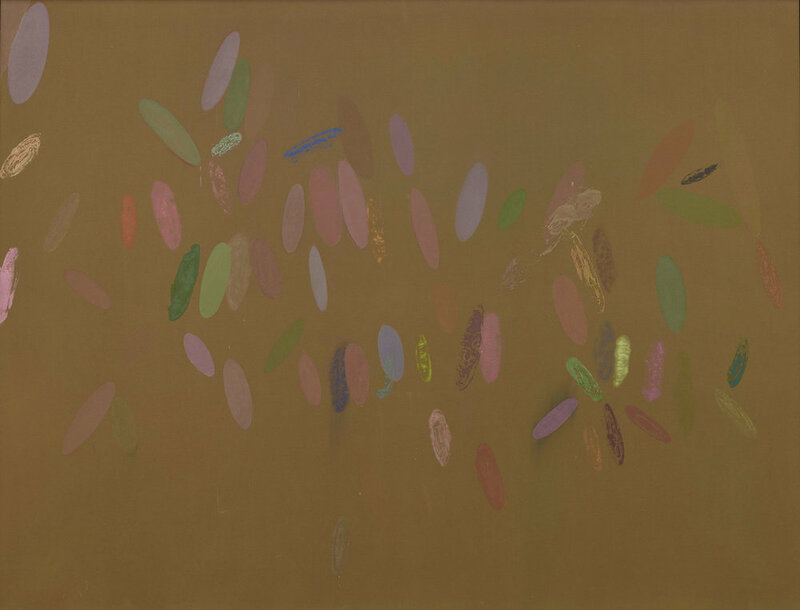 At first associated with geometric imagery, in 1966 Poons reacted against Clement Greenberg’s pictorial theories to return to the essence of painting—tactile pigment itself. 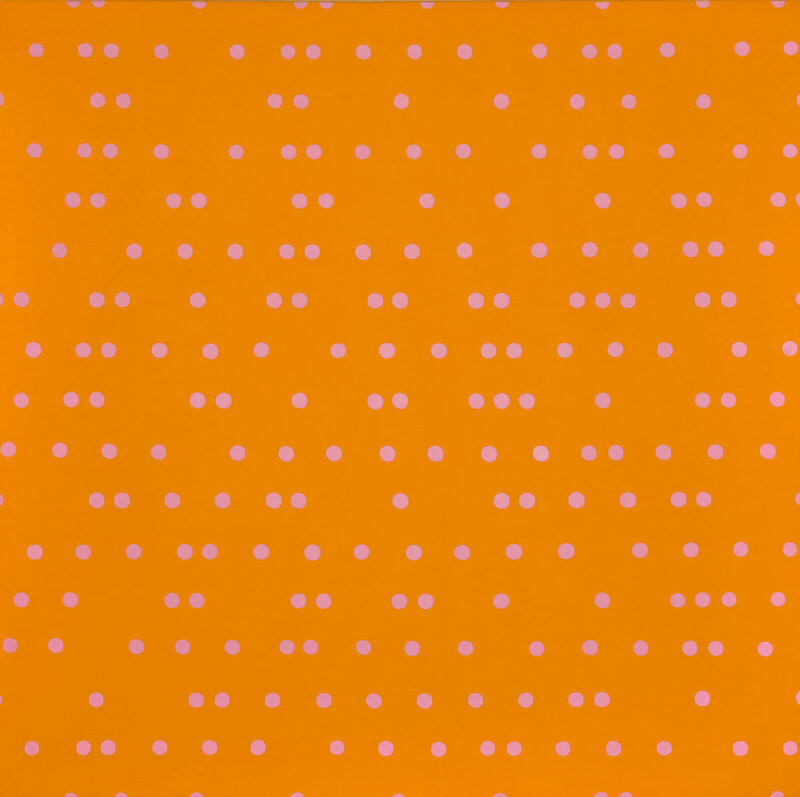 His paintings from the early 1960s consist of optical arrangements of dots and ellipses that float against monochromatic backgrounds. The formal elements of each of these paintings were determined by plotting points on a gridded matrix according to predetermined mathematical principles. By establishing rules that generated each painting, thus eliminating the artist from the process, Poons marked a development in the history of painting shared by his longtime friend and close collaborator Frank Stella. His paintings from the next five decades characterize the artists continued commitment to fomenting radical developments. A failed painting is better than one that's just plain bad. The failed painting is one that could have been great. Beginning in the 1970s Poons began pouring, throwing, and splashing paint onto the surface of the canvas. By the late 1970s, he had begun to build the surface of his paintings with foam, rubber, rope, and typewriter paper, causing the works to become increasingly heavy and extending dramatically into space. In the early 1990s, Poons returned to his use of the paintbrush, and his work continues in this vein today. Working in the surround, he continues to paint on an entire roll of canvas which is hung on a circular framework that stretches the length of his studio in East Durham, New York. Following the completion of a roll—a process that may take weeks—Poons then crops each individual painting. Poons began riding motorcycles when he was 16 years old and continues to this day, generally on English or Italian bikes. He raced in several club races in the 1970s, including in Loudon, New Hampshire and Bridgehampton, New York. In 1991, he began racing with the The American Historic Racing Motorcycle Association, first with a 500cc Seeley G50 Condor and then adding a 250 Ducati Diana. In 1998 and 2003, Poons won the championship for the 500 Premier and in 2003, Larry and Paula Poons won the Demoisey Memorial Award for outstanding husband and wife team. 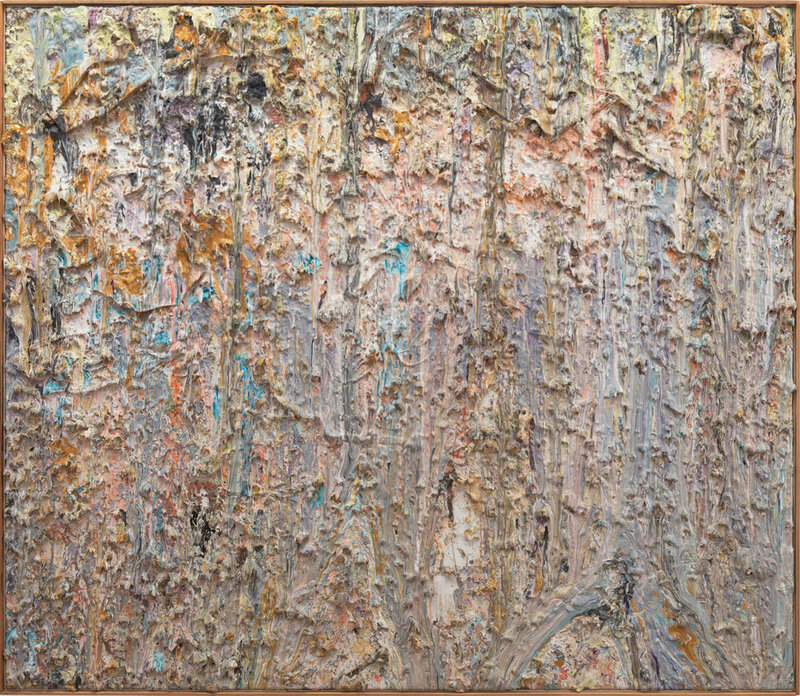 Larry Poons retains all rights, including copyright, in all art and writings of Larry Poons. Permission to reproduce the works and/or writings of Larry Poons must be obtained from the artist in advance of any reproduction. Artwork images are © Larry Poons. | Licensed by VAGA, New York, NY. Larry Poons in studio photo (top) by Jason Mandella, 2017.